If you’re one of those Internet users helping to make “password” the most popular online password for the umpteenth year in a row, you desperately need some help with your Internet security. Online security threats get more sophisticated every year and now, more than ever, it’s important to keep your protection tools up-to-date. Luckily for you, web users are often frugal, and you can use and download a multitude of great security tools free of charge. 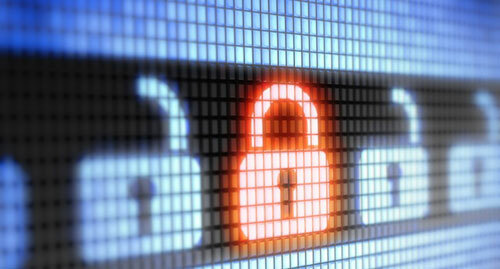 We’ve compiled the eight best free security tools available. You can use this list in conjunction with the link above, detailing the best free antivirus options to secure your computer and data from harm. Hotspot Shield is an excellent tool if you frequently use shared Wi-Fi. It secures your IP address, protecting your browsing from the eyes of any sneaky hackers at airports, hotels or coffee shops. Use the HTTPS Everywhere browser extension with either Chrome or Firefox to secure your data and online communication. HTTPS protects against eavesdropping attacks during downloads and account creation. If you’re following our trusty guide to creating secure passwords, you’re likely overwhelmed with various strings of letters, numbers and symbols. Even the most secure passwords still have to be remembered from time to time. That’s where LastPass comes in. It works by saving all of your passwords into an encrypted database and autofilling your login info when you first enter a site. You can even use LastPass to generate secure passwords, eliminating the pesky temptation of using the exact same code for every website. If you’re using Twitter, you’ve seen shortened links. While useful for clearing web clutter, short links also come with the possibility of leading you to a risky, dangerous site. Use the web tool “LongURL” to revert your shortened links back to their original forms. Trusteer Rapport is an award-winning anti-malware and encryption tool that will block any third parties from stealing your information and keep you from entering your data in a fraudulent site masquerading as your bank. Run any mysterious files or URLs through this web tool (a Google subsidiary), which will then check them for viruses, worms, trojans and other types of malware. Multi-factor password verification is a necessary tool for web users with many accounts. The voluntary free service is offered by sites such as Google, Facebook and Twitter, and works by requiring you to “authorize” a new device from accessing your accounts by entering a code sent to your phone.